The Saudi-led coalition has intensified its strikes on the Yemen port of Hodeidah, which could result in civilians getting trapped, the United Nations human rights office has warned. This also threatens a humanitarian operation aimed at delivering vital supplies. UN human rights spokesman Rupert Colville expressed concerns that the situation may resemble al-Mokha, where civilians were trapped in fighting earlier this month. "Civilians were trapped during the fighting [in al-Mokha], there are real fears the situation will repeat itself in the port of Hodeidah where air strikes are apparently already intensifying," Colville told a Geneva news briefing, as quoted by Reuters. A spokesman for Yemen's government stated on Friday that its forces had taken control of al-Mokha after weeks of deadly fighting, AFP reported. 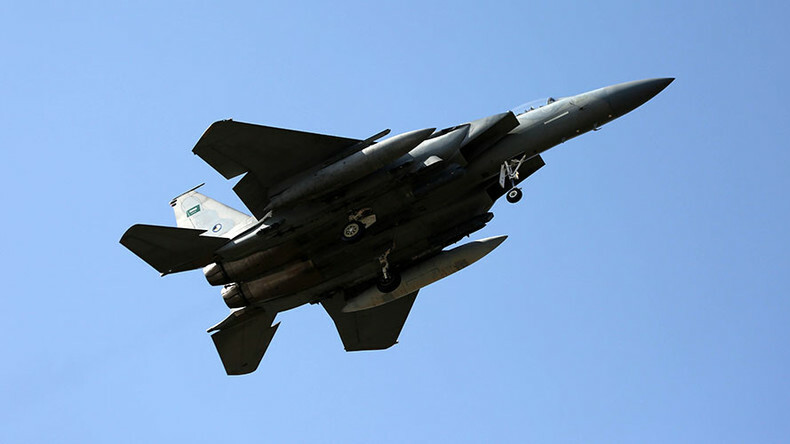 The Saudi-led coalition, which began airstrikes in order to stop Houthi advances in Yemen in March 2015, has long been accused of civilian casualties, an allegation which it has adamantly denied. The coalition is allied with anti-Houthi forces loyal to exiled former leader Abd Rabbu Mansour Hadi, who fled to Saudi Arabia when the Houthis took power. The coalition has been armed by the US and UK. It's not the first time the UN has expressed concern about the coalition's airstrikes. It spoke out against the strikes in August, saying they were responsible for the majority of civilians killed in the country's conflict. It called for an international investigation to take place, stating that a national commission had failed to succeed in pursuing those responsible. The UN also warned in January that Yemen could face famine this year unless immediate action is taken to stop the conflict which has led to the deaths of over 7,000 people and left two-thirds of the nation in need of humanitarian aid. "An astounding 10.3 million Yemenis ... require immediate assistance to save or sustain their lives [and] at least two million people need emergency food assistance to survive," UN humanitarian chief Stephen O'Brien told the UN Security Council, adding that the ongoing conflict is “the primary driver of the largest food security emergency in the world."